Steve Poltz's sardonic style has carried him throughout his colorful career. 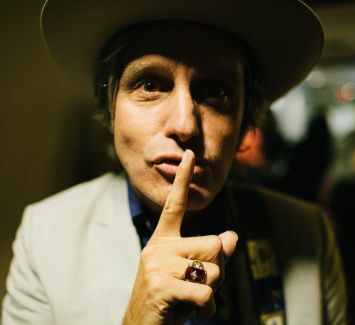 His unique outlook and often satirical lyrics helped make him a cult icon with seminal indie rockers The Rugburns, and monopolize the pop charts with the likes of Jewel and Glenn Tillbrook. His latest album, the wryly titled "Noineed Noiny Noin," takes a slanted look at topics from transvestism to Johnny Cash. Since releasing his solo debut "One Left Shoe" in March of 1998, Poltz has produced an impressive thirteen solo records on his own label, 98 Pounder Records. He's always done things his own way, uncompromising in sound, content, and release; but how else does one become a cult icon?